With Exelis RangeVue, a high-performance GIS visualization engine provides real-time updates of critical operational elements. Exelis has launched its first airspace situational awareness tool designed specifically for unmanned aerial system (UAS) operations in the United States. Symphony RangeVue puts real-time Federal Aviation Administration (FAA) surveillance data, flexible background maps and weather information in the hands of UAS operators and test range personnel. The system provides significant improvements to the safety and efficiency of UAS operations, whether on the test range or in the field. Symphony RangeVue enables UAS operators and test range personnel to have access to both real-time and historical surveillance information via a web-hosted platform, helping to manage mission operations from multiple locations with full visibility of assets. Symphony RangeVue can be used as a command center decision-support and post-event analysis tool, or in the field as a sense-and-avoid addition to UAS ground control stations. 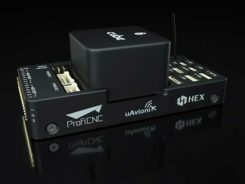 Flexible geo-fencing tools alert operators when a UAS approaches airspace boundaries or when other aircraft are in the vicinity. Symphony RangeVue combines a high-performance visualization engine with the vast network of Exelis NextGen surveillance data, including all of the FAA’s surveillance systems: automatic dependent surveillance-broadcast; en route radar; terminal radar; airport surface detection equipment-X; airport surface surveillance capability; and wide area multilateration. It also integrates locally deployed surveillance assets to deliver hyperlocal situational awareness. 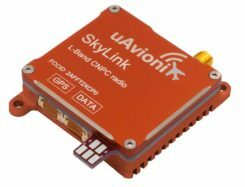 2 Comments on "Exelis Launches Surveillance Tool for UAV Operators"